All aboard the Polar Express in Bryson City, NC! Located about an hour from Asheville, the Great Smoky Mountains Railroad offers daily excursions with a chance to experience the magic of Santa and the North Pole. It’s one of the many western NC activities to experience during the winter holiday season. Great Smoky Mountains Railroad operates year-round with excursions along the Nantahala Gorge and the Tuckasegee River as well as an adult-only Carolina Shine Moonshine Experience. During the Christmas season, however, the train welcomes passengers on board to hear and experience the Polar Express. Sit back and listen as the story unfolds, sip hot chocolate and enjoy a treat, and then welcome Santa on board. 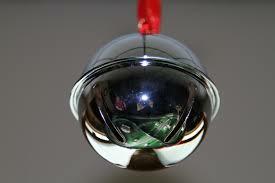 Each child receives his or her own sliver sleigh bell, just like in the book. On the return trip to Bryson City, join in the Christmas caroling and relish in the special memories that have been created by this magical train ride. Whether it’s the special seasonal offerings in the Asheville area or the daily opportunities to experience the cuisine and culture of western NC, there’s no doubt that Asheville, Black Mountain and Montreat each provide a unique, warm and friendly environment to live in. If you already live here, choose something today to do that you probably can’t do anywhere else. For example, when was the last time you visited one of the new microbreweries in the area? And if you’re not living here yet, what’s holding you back? Greybeard Realty is here, just waiting to welcome you home. Visiting Asheville in the fall? Take a tour on the Gray Line! This hop-on-hop-off tour in a trolley is a great way to learn about the history of Asheville as well as interact with the bustling downtown. With 10 spots including the diverse Montford Historic District, Art deco-rich downtown, legendary Grove Park Inn, as well as the edgy River Arts District. Created by George Vanderbilt in 1895, Biltmore is Asheville’s crown jewel. Fall is a great time to explore America’s largest home as the bounty of the fields, gardens, and vineyards are celebrated. Walk the spacious formal gardens or just enjoy the beautiful fall foliage across the Blue Ridge Mountains. From day passes to overnight stays, there is something for everyone at the Biltmore Estate. 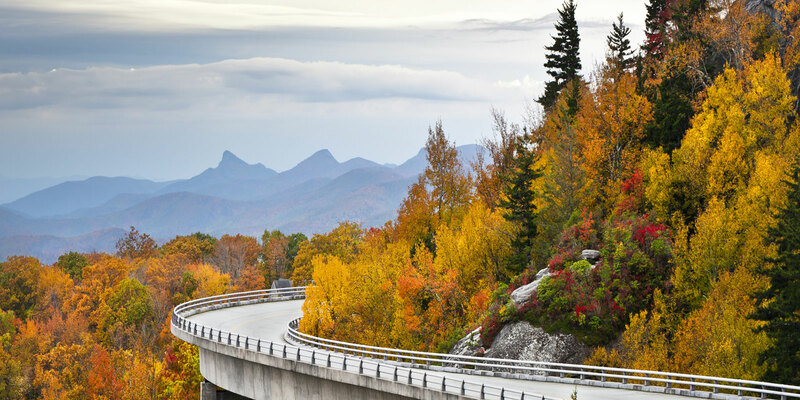 A 469-mile drive winding through the Southern Appalachians, the Blue Ridge Parkway is a must-see! Fall brings brilliant foliage that can’t be beaten. Whether you just take a drive through parts of it or get out of the car and hike, the Blue Ridge Parkway is a can’t miss in the fall! While on your Blue Ridge Parkway adventure, you can’t miss the Folk Art Center located at milepost 382, and just 5 minutes from downtown Asheville. Home to the Southern Highland Craft Guild, the Folk Art Center showcases Southern Appalachia’s finest traditional and contemporary crafts. Take a tour with Asheville Farm to Table Tours and visit sustainable family farms where farmers specializing in cheese, chicken, produce, beef, or lamb share their passion and knowledge. At the end of the tour the Chef prepares a delicious meal made with the food from the farms you visited that day. Don’t just experience the uniqueness of Asheville, taste it! Often times, when we’re choosing a new place to live like the Asheville area we get caught up in the school system, the nearby medical facilities, and the overall quality of life. Don’t get us wrong; all of that is relevant. We also value the outdoor opportunities, however, and we think this new list of Marmot’s top ten Asheville hikes is a keeper. Hiking is something many of us here at Greybeard Realty enjoy, and we offer some hiking spots on the Greybeard Rentals activities website. What is great about this list, however, is that it covers places a little further distance from town. So yes, you can learn about Crabtree Falls and Old Mitchell Trail, but you also can read up on Waterrock Knob, located 33.7 miles from downtown Asheville. See, that’s what’s great about this new listing. First of all, it tells you exactly how far most of the hikes are from Asheville, how difficult the hike is, and why the site is significant. And secondly, it offers some hikes that are a bit further out from town. In fact, through the article you can access a “bucket list” of Asheville hikes that has more than 25 locations within 100 miles of an Asheville home. This list is possibly more helpful to people who live in the area than people who have already travelled for an Asheville vacation and want something closer to town. Greybeard staff and Realtors spend lots of time enjoying the remarkable outdoor offerings in the Asheville area. We hike, bike, ultra-marathon, and whitewater raft, among other activities. To us, the Asheville area is unmatched in its possible outdoor pastimes. It’s why we love living here, and why we think you would too. Take a look at Greybeard's western NC residential listings and contact us to go check out a few homes. It’s just the beginning of your mountain adventures. Asheville’s River Arts District comprises a series of studios and galleries featuring local artists from a wide range of practices including painting, photography, sculpture and mixed material. Located along the French Broad River, this vibrant neighborhood will once again host a Studio Stroll on November 14 and 15, allowing visitors to view artwork and meet some of the area’s most talented artists. The Fall Studio Stroll will provide attendees with access to over 180 working studios located throughout 22 refurbished factories and historic buildings. This event is free to the general public and trolleys will be running all weekend to take people around the district. While you're visiting the River Arts District, check out some of the awesome restaurants and breweries in the area, including 12 Bones Smokehouse, The Bull and Beggar, and Wedge Brewing Co.
Asheville residents and guests can take advantage of this year's Asheville Small Plate Crawl, an event sponsored by Asheville Independent Restaurants. The three-day event, which kicks off on February 24, offers attendees a chance to sample local chef's best food options. The local event provides Asheville residents with a chance to taste various small servings from dozens of Asheville restaurants located in the downtown area as well as Biltmore Village and West Asheville. And for Asheville visitors, it gives guests a chance to sample the flavor of the Asheville community. 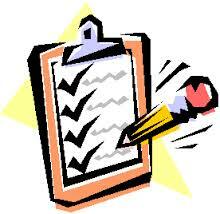 To get started, go to the Asheville Small Plate Crawl website and start selecting the restaurants you want to sample. Then, with the online printable AIRpass you can head off at your own pace to get a taste of Asheville. Joining in one of these community efforts is a great way to get a sampling of what Asheville is about. Sure, you can read the Asheville information, but to appreciate the special flavor of this wonderful community, you really do need to experience its activities. If you already know what we're talking about and you haven't made the move up here yet, come on up and take a look at some of Greybeard Realty's great Asheville real estate now on the market. If you have heard all about Asheville and think it may be your next move, what are you waiting for? Click on Greybeard Rentals website and book a weeklong rental so you can come sample the Asheville flavors for yourself. Forbes recently recognized the growing flavors of Asheville in its list of top five secret foodie cities. In its blog, Forbes highlights the interesting and widely varied types of cuisine and presents a list of festive restaurants sure to please the palate. 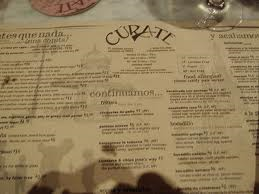 In addition to Curate, a restaurant featuring Spanish tapas, the blog mentions the French Broad Chocolate Lounge which serves liquid truffles and Looking Glass Creamery that pairs fresh cheese with wines. Just reading through the listings should be enough to make you head out for a nosh. The Forbes top five list preceded the recent USA Today Travel listing of "6 Small Cities with Big Tastes." That list of top six also mentions Curate as well as Rhubarb and Seven Sows Bourbon Larder. One of our Facebook followers suggested Strada Italiano and Zambra should be added to this list as well. About a year ago, Greybeard Realtors and staffers suggested their favorite family restaurants as well. Regardless of what list you choose, it should be apparent that Asheville has an incredible palate for cuisine choices. With its cultural offerings and natural beauty, Asheville doesn't really need another reason to be the place to live. A look at these recent lists, however, may have you salivating for your own home. If you're ready to make the move, look over Greybeard's Asheville homes for sale listings and contact us. 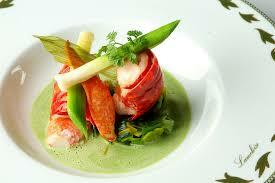 And in the meantime, let us know about your favorite dining spot. 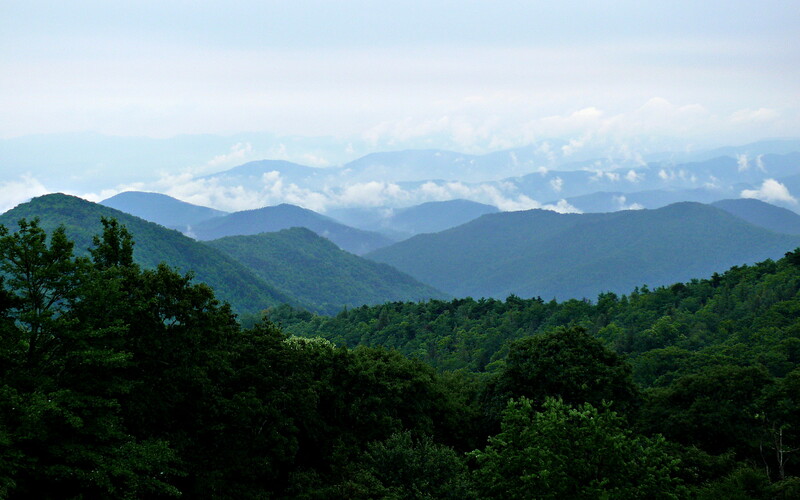 While we previously have outlined the benefits of an Asheville retirement in our blogs, we also want to highlight the various family activities that are happening in the western NC mountains. These activities, adventures and sites can be enjoyed by all ages and cover the gamut from hikes to museums to special musical performances. The wide range of these attractions makes Asheville appealing for the retirement community as well as for young families who are relocating. For outdoor activities, there are numerous well-marked hikes including Parkway Trails and Montreat hikes. For the arts, the list includes Altamont Theatre and the Asheville Art Museum. In addition, specials events such as the Drum Circle and the River Arts Studio Stroll are included. Please see our list of Family Fun on our Greybeard Rentals page to see the links for these and other suggested activities/events. If you're thinking of relocating, trying a rental first can be a great way to sample the local atmosphere prior to deciding which local neighborhood is best for you. Check out our long-term rental listings to find the house that's just right for you. If you want more information about the area or want assistance in selecting a great long-term rental to tryout a particular neighborhood, please contact Greybeard Guest Services. Also, we would love to hear your suggestions on other special activities and happenings that you would like to share on our Family Fun web page. Please let us know other items we should include on our list, and we will continue to update the page as we get new information.